City slickers. 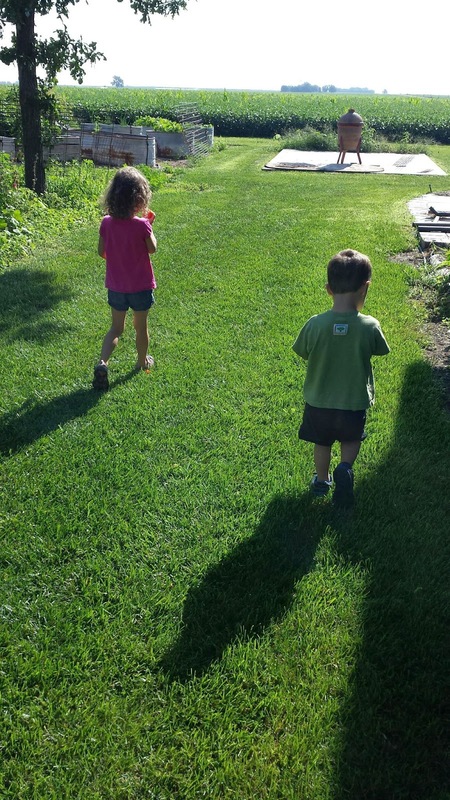 My kids are city slickers. It's funny because my hubby and I both spent a significant portion of our youth on farms. The hubs? He wins the real farmer award because he was a poultry judge and did FFA and 4H. His family had dairy goats, a cow, a donkey and a multitude of other animals. 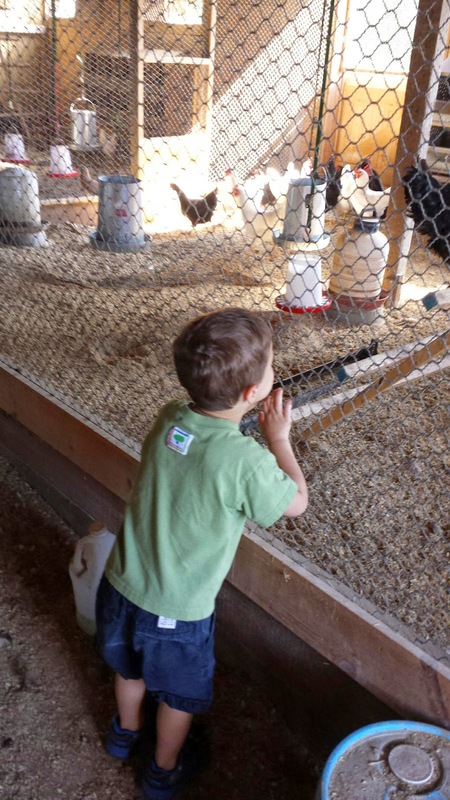 Now his parents only raise chickens and veggies but it's very exciting for the kidlets. The Grandparents run their own CSA and sell the eggs, and it's a fantastic chance for the kids to experience a real working farm. Most kids like mine have no idea where food comes from. Lots have probably never seen asparagus growing, or picked their own corn for dinner. 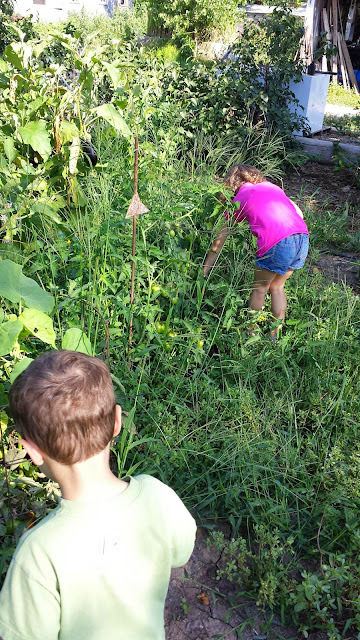 It's a lot of fun to watch them experience things they never see in our slice of suburbia from gathering eggs and picking veggies to discussing the death of a chicken. Mostly they like running around in the dirt and riding on the tractor. Let's be real. Grandpa parked that thing in the shade when he wasn't using it and it was a makeshift jungle gym. They took turns "driving" with the other one riding in the bucket. I only took about ten thousand pictures, don't worry I'm sure one turned out. I wish that someone had told me to forgo toys! They have never had more fun than with the plastic pool on Grandma and Grandpa's farm. Seriously, boxes, packing materials and a plastic Walmart pool. Done. Let's not forget the zillions of Auntie, Uncle and Grandparent snuggles they got every day. I've said it once and I will say it again. It's really hard to live far away from family. Once you have kids it's almost tragic to hear that little voice cry and say how much they miss their family. We had a fabulous time at the farm. The kids were not happy about leaving, the hubs and I were not happy about flying, but we made it home! Until next year farm. Onto our next adventure: preschool!